Joseph BECKWITH (1653 – 1707) was Alex’s 9th Great Grandfather; one of 1,024 in this generation of the Miner line. Joseph Beckwith was born about 1653 in New London, New London, CT. His parents were Matthew BECKWITH and Elizabeth (Mary) LYNDE. He married Susannah TALLMAN about 1676. Joseph died about 1707 in Lyme, CT at the age of 54. Susanna Tallman was born about 1662 in Portsmouth, Newport, Rhode Island, Many alternative birth dates: 1642, 1650, 1655, 1660, etc.) have been suggested. Her parents were Peter TALLMAN and Anne HILL. After Joseph died, she married George Way 17 May 1713 in Lyme, New London, CT. Susanna died in 1717 in Lyme, New London, CT.
Joseph Beckwith was an innkeeper. Joseph died before the deed’s were recorded to his homestead. Joseph’s wife Marah (Mary) Lee was born 23 Apr 1679 in Lyme, New London, CT. Her parents were Thomas Lee and Mary DeWolf. She married 2nd (at Lyme) May 16, 1745 Capt Daniel Sterling . 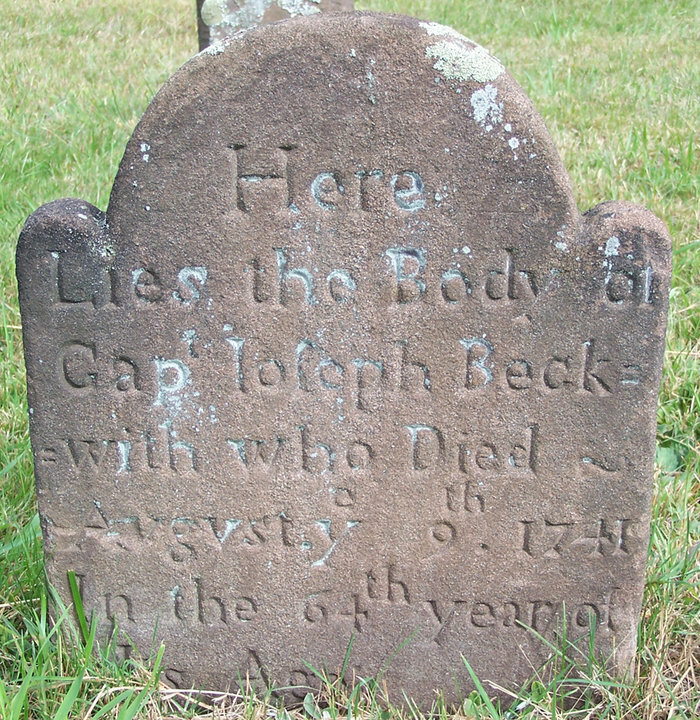 He died Lyme, CT, June 30, 1747. She married 3rd Capt Riggs of, CT. who later died at Derby, CT. Marah died 28 Feb 1734 in Lyme, New London, CT or in 1759 in Colchester, CT.
16 Nov 1727 – Lyme Ct. Land Record. The New Haven General Assembly do give liberty unto Capt. Joseph Beckwith and Captain Samuel Gilbert of Lyme to sell land from the estate of Captain Joseph Way of Lyme, decd. Land sold at auction for 53 pounds, 4 shillings to widow Mary Dart, 18 acres of land in Lyme with a mansion house thereon. This entry was posted in 11th Generation, Line - Miner, Tavern Keeper and tagged Lyme CT Founder. Bookmark the permalink.